Jolly LLB 2 Collection and 12th Day Tuesday Box office earnings report: Akshay Kumar’s Jolly LLB 2 is doing a great performance on the box office with collections touching the sky high figures. With massive support of the audience, film ranked out many records of bollywood releases this year and earlier as well. With the Jolly LLB 2 collections, Akshay Kumar took a major growth in his box office rankings to Top 4 once again. Shahrukh and Akshay holds up a tie. Raees was able to score a figure of 26.30 crores which is much higher of Jolly LLB 2 but after releasing on Republic day. Joly was able to mint out the maximum on Sunday with earnings of 19.95 crore rupees without any national holiday. The competition was stir close and both movies performed exceptionally well on the box office. For detailed box office report, scroll down below. Akshay Kumar is proving himself a goldmine for producers of bollywood. Jolly LLB 2 collection have indicated the ongoing excitement on the box office for the actor. After serving many movies superhit on nationalism, Akshay is back to basics with Jolly LLB 2. The actor got a good experience of having many comedy films superhit. ‘Aitraaz’ is eventually the first name which comes in mind after hearing that Jolly LLB 2 is shot in room of law. Aitraaz was a super duper hit film on the box office considering the popularity of star at that time. Produced with a budget of 30 crore rupees, the film was not a big project for the actor who is currently famous for nationalistic image in the country. Although the efforts of marketing team should be applauded for ensuring everything best possible for the fickle. Film opened exceptionally well on the Friday with earnings of 13.20 crore rupees. It was really a great response considering a very normal release without any holiday. Nowadays, top actors didn’t release films without holiday because of fear of getting flopped. Akshay did a remarkable job by breaking the stereotypes. Upon our industry estimates, if a film mint out more than 50% profit before the first weekend (3 days), the film is definitely the Best Movie in terms of Business Rating. Monday performance was exceptionally well and better than average industry response. A drop of less than 70% on the weekdays actually entitles that the movie is actually good for the audience. continuing the performance, film earned 7.26 crores on Monday. An unexceptional growth was observed on Tuesday because of Valentine day. Film earned 9.07 crores as income from box office on the 5th day of release. The next 3 days, (Wednesday, Thursday, 2nd Friday) didn’t went up really well for Jolly LLB Two Collection. Film earned 5.89, 5.03 and 4.14 crores respectively on each day with small down trends. The first week earnings till Thursday totalled to 77.71 crores which is more than twice of the budget without counting broadcasting sell amount. On 2nd Weekend Saturday and Sunday, Joly was not really good at the box office but substantially survives without any issues. Film was able to make a figure of 6.35 and 7.24 crore respectively on the 8th and 9th day respectively. Totalling the 2nd weekend earnings of Jolly LLB 2 to 13.59 crore rupees. The opening of 2nd week weekdays was observed with downfalls as per expectations. Movie was not able to mint out great money. 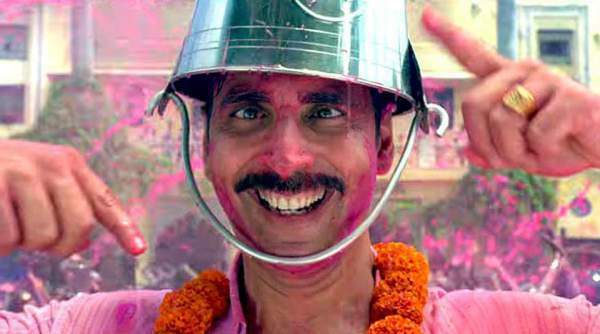 Earning 3.6 crores on 2nd Monday and 2.9 crores on 2nd Tuesday was strictly average for Jolly LLB 2 12th Day Collection. Adding to it, movie was not able to great business once again in the overseas countries. It appears Akshay Kumar needs to cater more advertising abroad. Jolly LLB 2 collection from Abroad ends up with 17 crores with the end of first week. UAE-GCC countries didn’t responded much well. Jolly LLB 2 have collected 118.94 crores during 12 days of release worldwide. Previous articleHoax Death News Warning: Farida Jalal Is Alive or Not ?